Recently, I had the opportunity to speak to a writer for Package Design (http://www.packagedesignmag.com/) about the impact of print on-demand color labels on design. 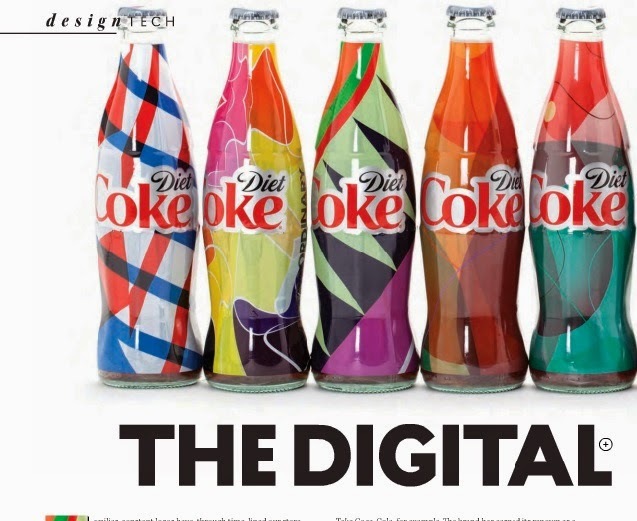 If you don’t know this magazine, Package Design elevates the value of design as a strategic business competence in the brand marketing mix from concept to shelf. This magazine helps improve business effectiveness and fosters a community for all stakeholders. 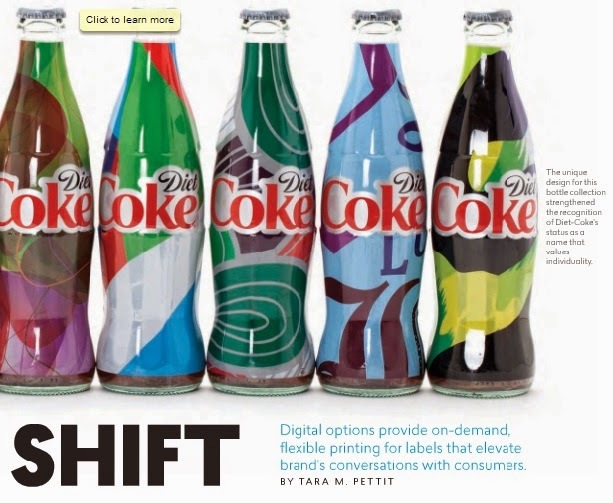 After our and other interviews, Package Design published, “The Digital Shift”, http://www.nxtbook.com/nxtbooks/STMG/packagedesign_20141112/#/48, about the marketing options provided by moving to digital printing; and specifically, print on-demand color labels. Check out my comments at the end of page 42 and 43 as I see tremendous creativity benefits of printing color labels on demand. 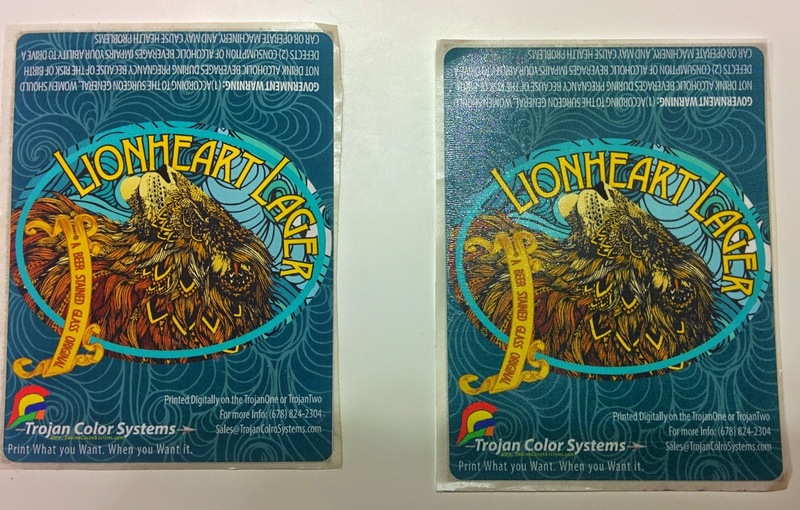 Also, I’ve posted ideas on how to use color on labels; or the benefits of digital printing. Check out this post on using color to improve marketing: http://colorlabelsondemand.blogspot.com/2013/09/juice-your-marketing-using-color-on.html. Or this post on color labels in the digital marketplace: http://colorlabelsondemand.blogspot.com/2014/03/labels-in-digital-marketplace.html. 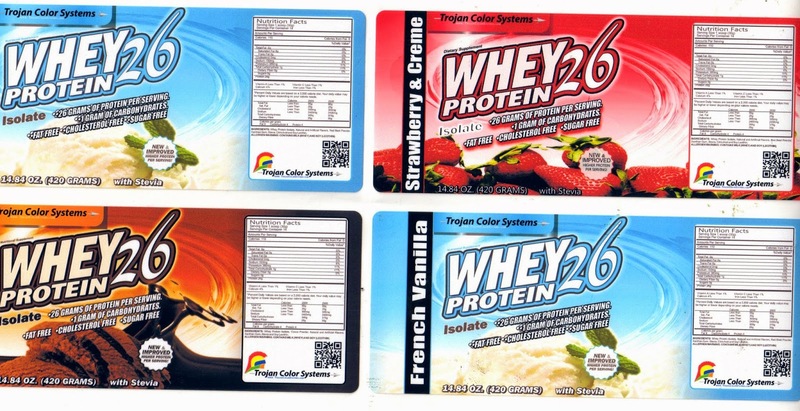 Printing color labels on demand offers many different creative and process benefits. I’d love to hear how color improves your marketing efforts. 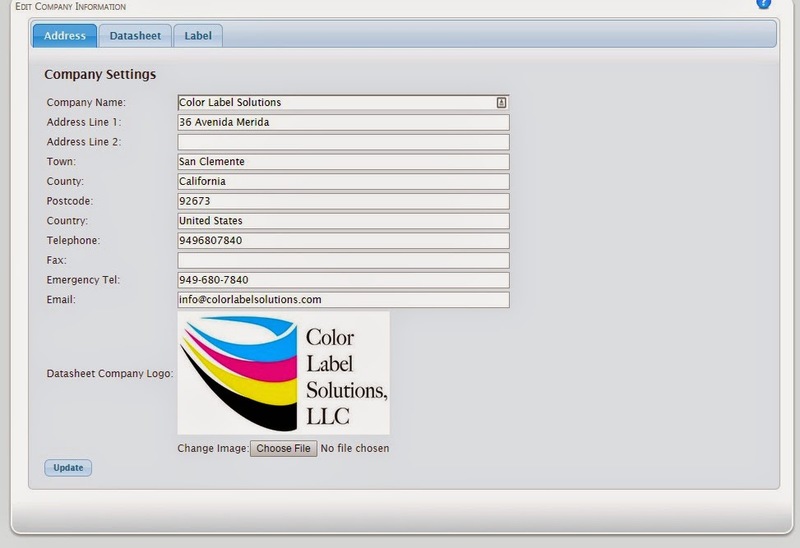 Or contact us to discuss how we can help you add color to your on-demand labels. Universal Heated Hoses (http://www.universalheatedhoses.com/) designs and manufactures custom electrically heated transfer hoses for a wide range of applications. Heated hoses provide solutions for transferring materials such as Hot Melt Adhesives, Liquid Food Products, Wax, Lubricants, and Sealants. 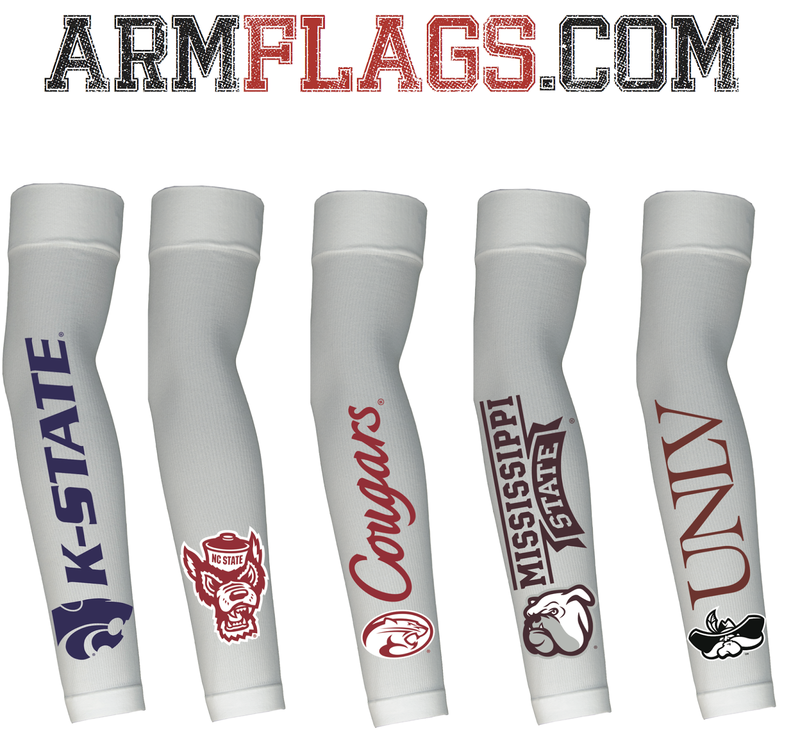 UHH specializes in Hotmelt replacement hoses as well as Custom Hoses. Manufacturing heater wire in-house, UHH provides the best solution for the application; offering hoses for all types of temperature sensors to match the existing machinery. While searching for color label printer options, Pat found us online. 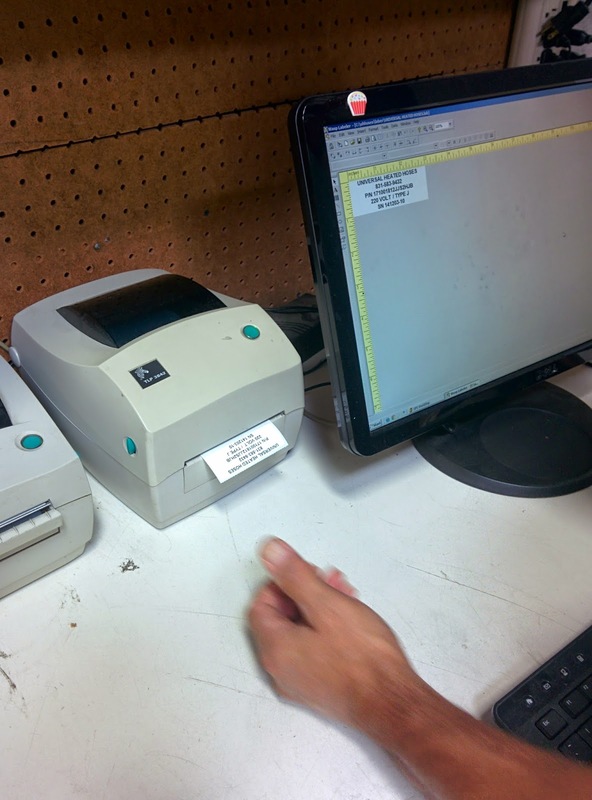 After a telephone conversation, Pat purchased a TM-C3500 printer, 3 years of Spare-in-the-Air Warranty, ink and labels. Once the printer arrived, I help him setup and configure the printer via webinar. Within a few minutes, Pat was printing color labels from BarTender. 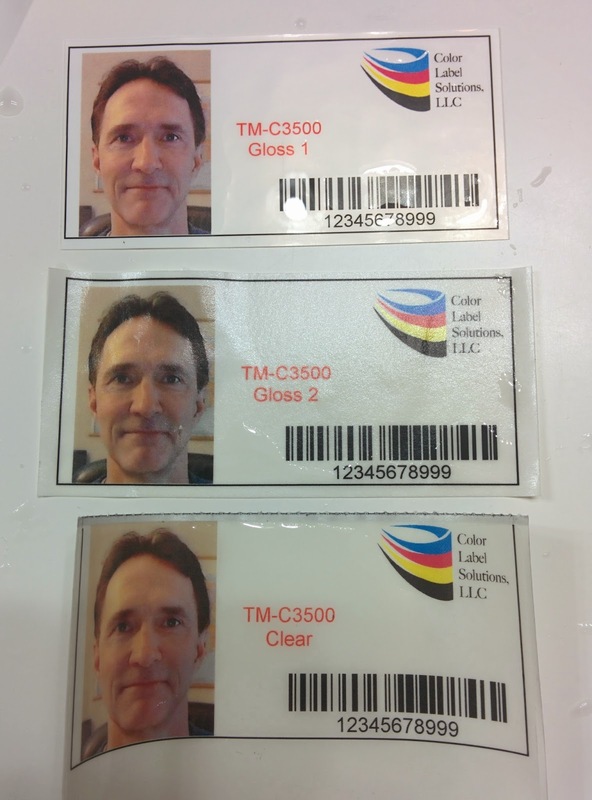 UHH has started printing color by using continuous labels, which requires the use of the built in cutter in the TM-C3500. Continuous material allows for variable lengths; cutting exactly to the required length. 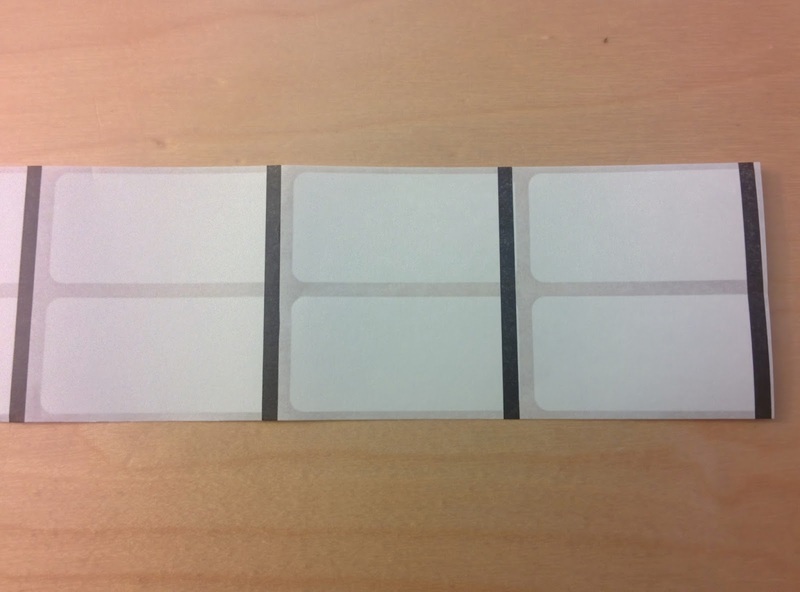 In the future, UHH will move to die cut matte poly labels to get the rounded corners. 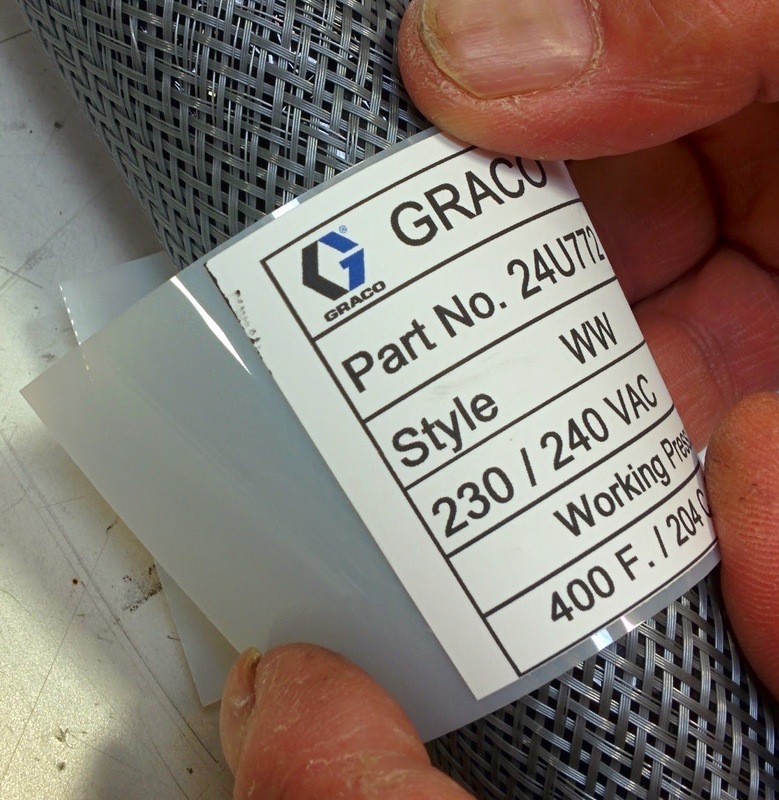 In addition, die cut labels may be easier to apply for this specific application over the top of the Mylar. 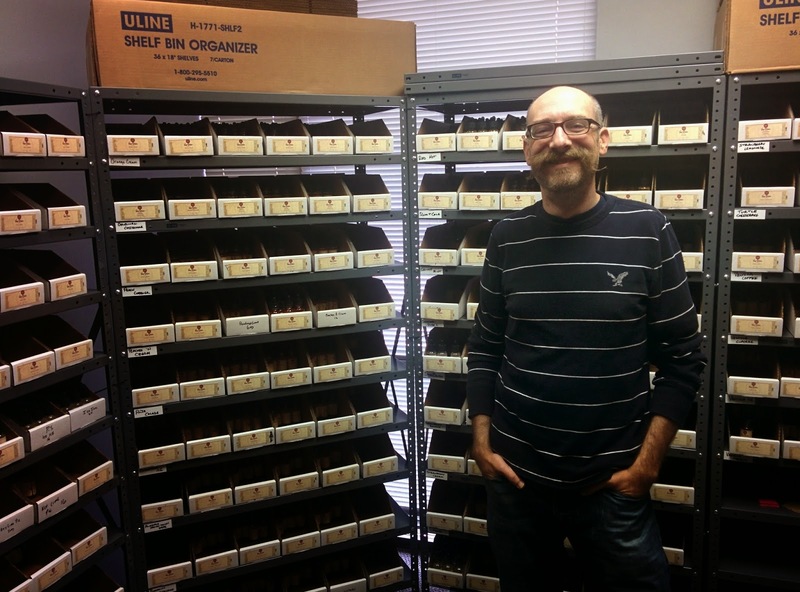 Working with companies like UHH and good guys like Pat is one of the pleasures of leading Color Label Solutions. 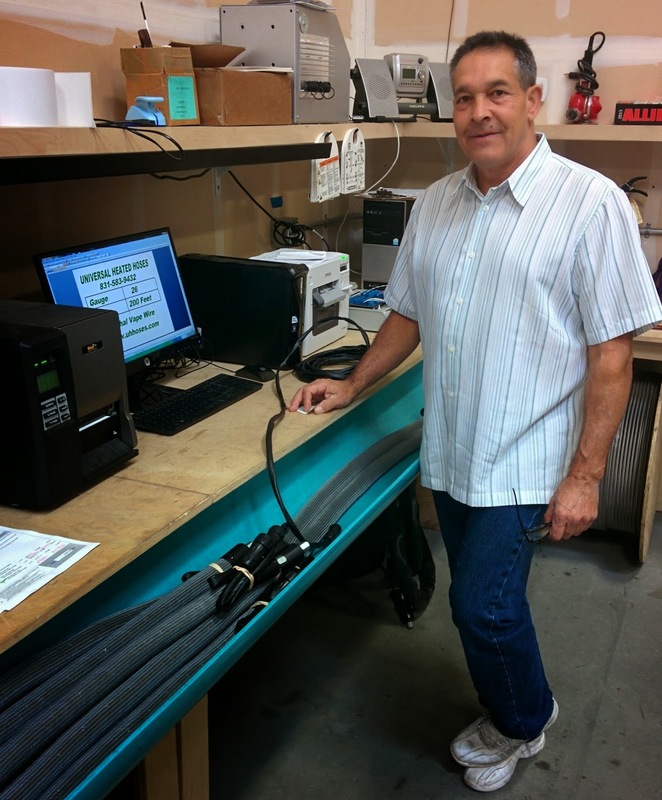 If you need a heated hose, contact Pat at Universal Heated Hoses. 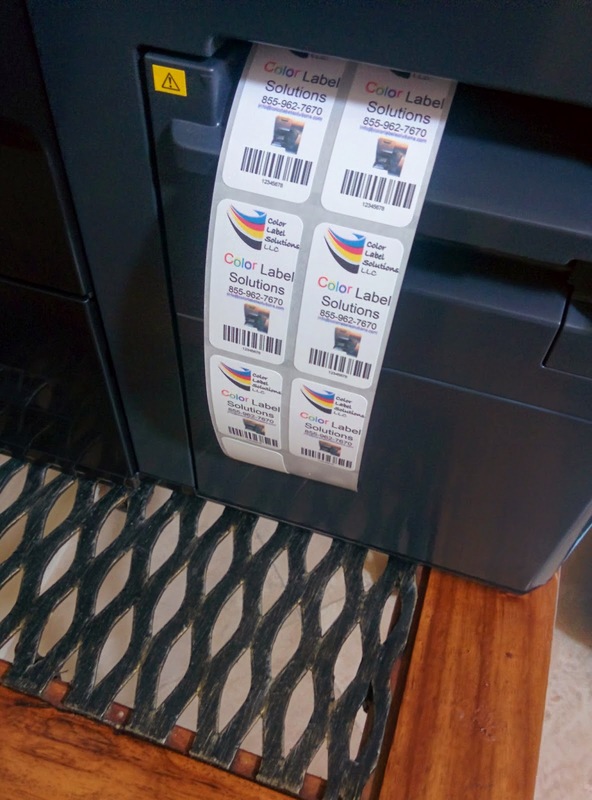 If you need color labels printed on-demand, contact us! 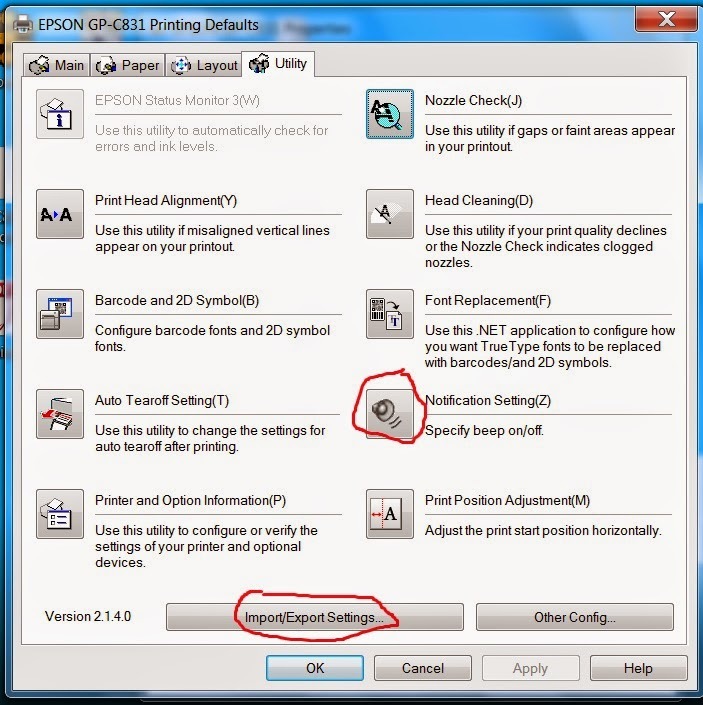 While helping a customer install and configure a GP-C831 printer, I had a “SURPRISE”: I learned Epson had made available a new driver; Version 2.1.4.0. Offering several changes, this new driver is not necessarily “plug and play” with your existing label formats. In this post, I like to explain the new driver, and how the change may affect your work. The primarily reason you should upgrade to the new driver is the capability to print wider; now 8.25” versus the previous 8”. From my perspective, this capability is a major improvement; especially without requiring a change in the hardware. With this change, please remember these details about the page settings/sizes. The print starting point on the right side (fixed) as you face the printer is still .51”. Therefore, you will have approximately a .135” (.51” -.375”) non-printable boundary on the right side when using labels with a .375” tractor-feed. This boundary will be eliminated, basically, when using labels with a .5” tractor feed. 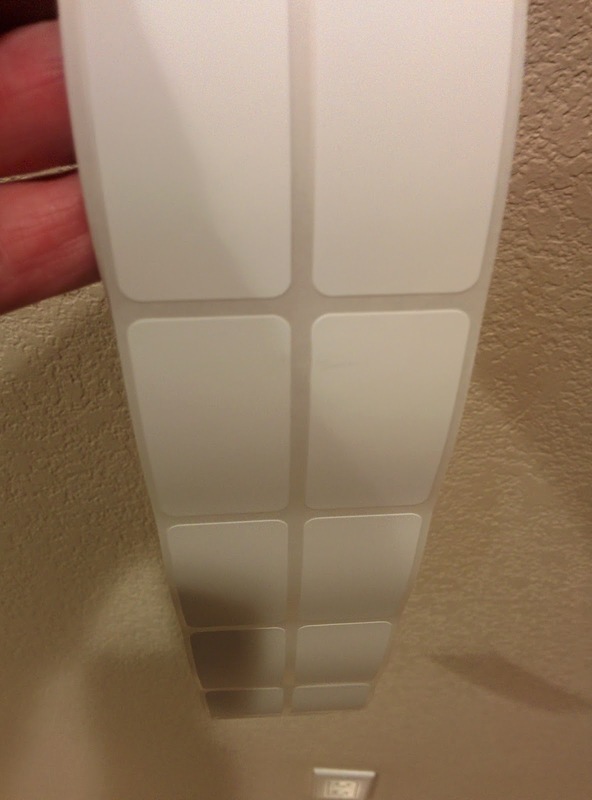 In addition, the top and the bottom of the label will have a .08” non-printable boundary as well. 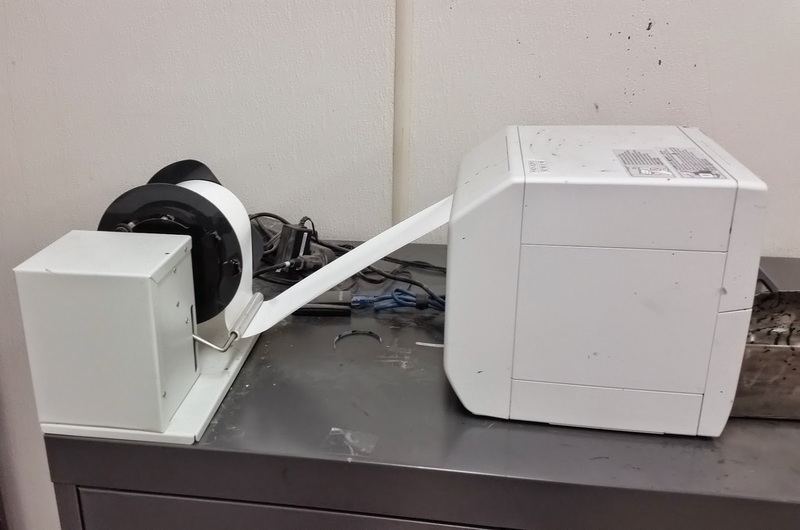 In addition to the wider print capability, the driver has other notable changes. First, the default setting for print quality is “Plain Label” and "Quality" versus “Plain” and "Speed" in the previous version. With the plain label setting, the default Mode setting is “Quality”. For producing most labels, the default setting is sufficient. 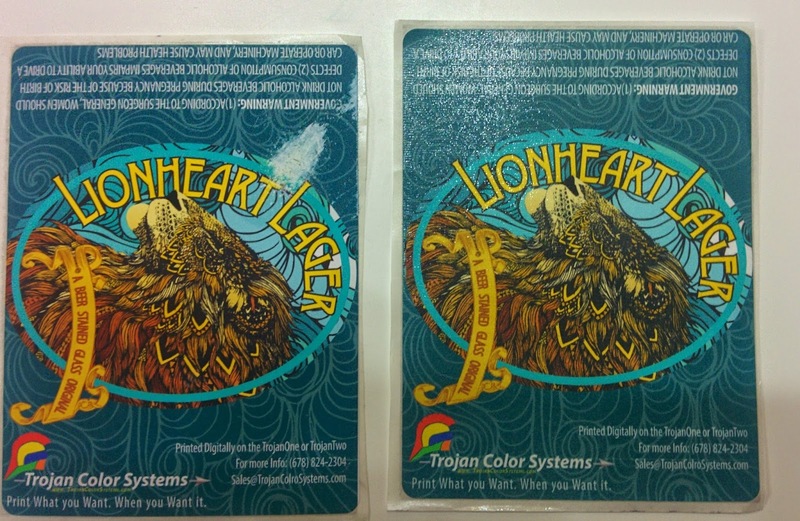 You may want to test “Synthetic” and Quality for matte poly labels (http://stores.colorlabelsolutions.com/gp-c831-pin-fed-labels/) to determine which you prefer. During my discussions with Epson, I learned the color gamut is slightly different between these two settings. 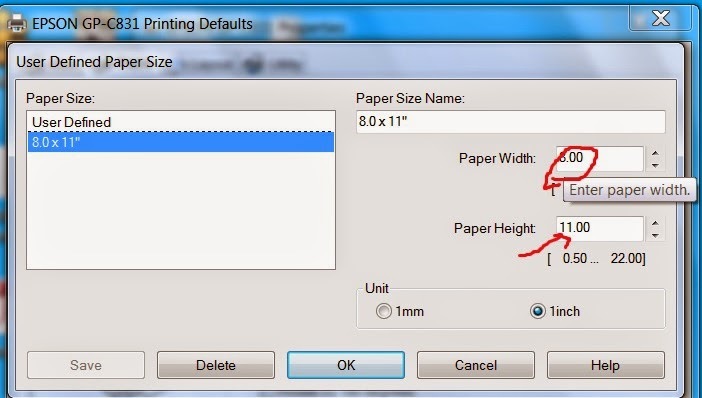 Therefore, I suggest you print your labels with both to determine which settings match your preferred colors the best. 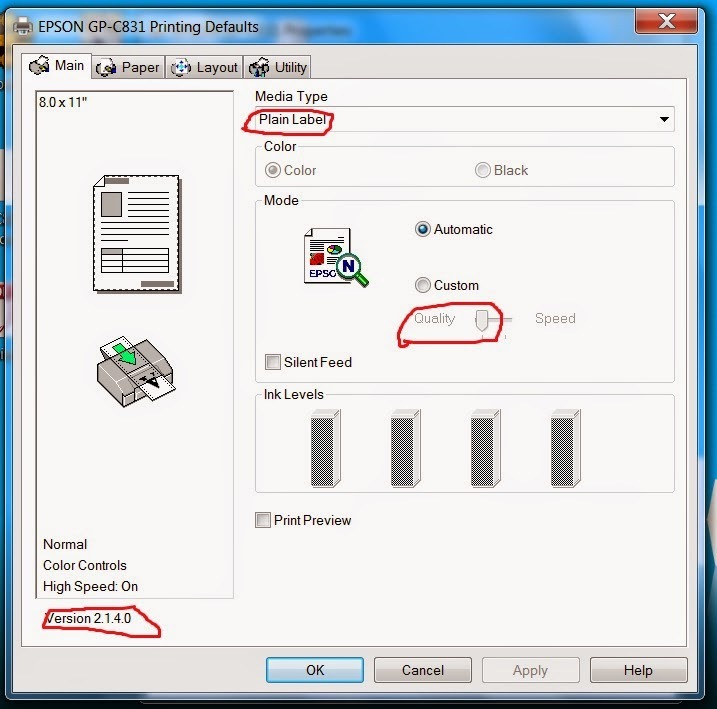 In addition to the change in the print quality and page size, Epson added one more important feature; the ability to import and export driver settings. Now you can export the settings as “BSF” files to import into other computers. 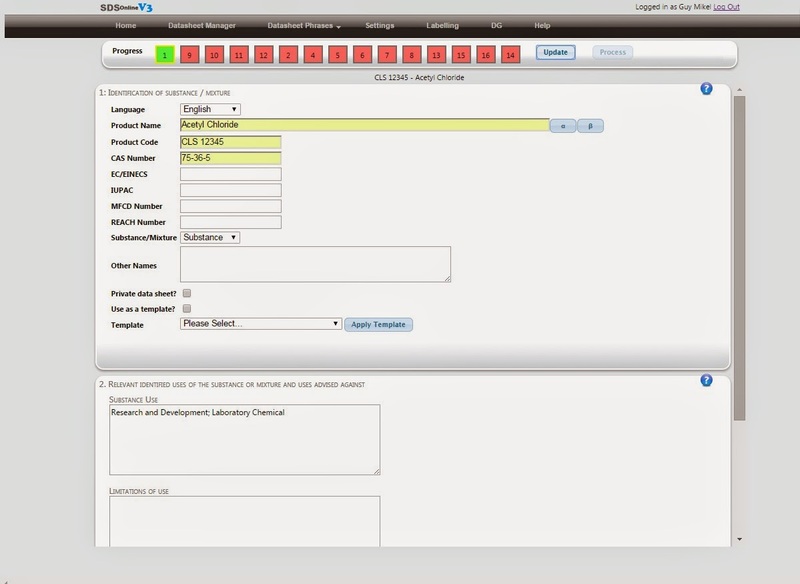 This capability will save a lot of time for network installs. While on this page, don’t forget to set the Notification Settings to “No Beep” (I find the beep very annoying). Also, don’t forget to select these settings not only in the “Printer Defaults”, but also in “Printer Preferences”. If you get this message, be sure to select cancel to get to the page setup. In page setup, be sure “Set Manually” is NOT selected. 1. Open the top cover. 2. Hold down the Pause button for about three seconds. The Pause light flashes, the printer enters Micro Adjust mode, and then the paper is advanced to the current top-of-form position. 3. 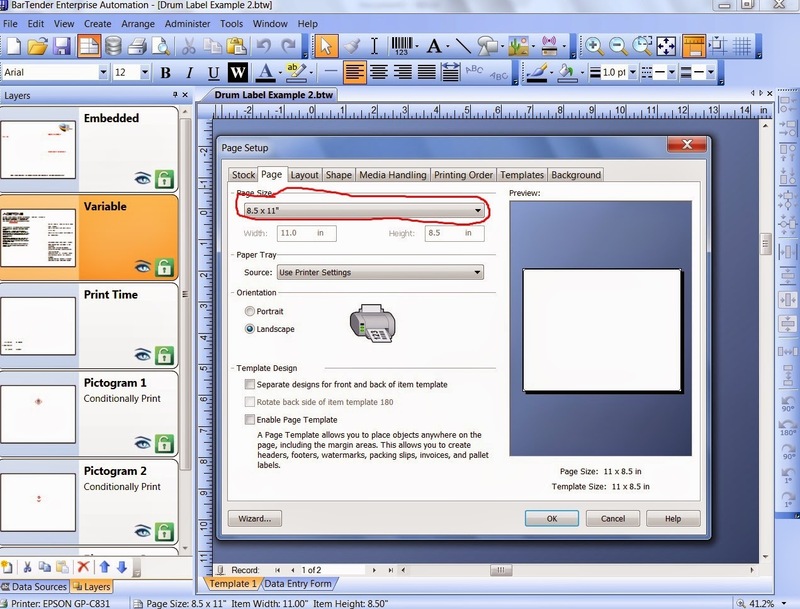 Press the FF D button to move the top-of-form position down on the page, or press the Load/Eject U button to move the top-of-form position up on the page. After working with this new driver, I would recommend one key point: you need to use the same version of the GP-C831 driver for all installs within your company. 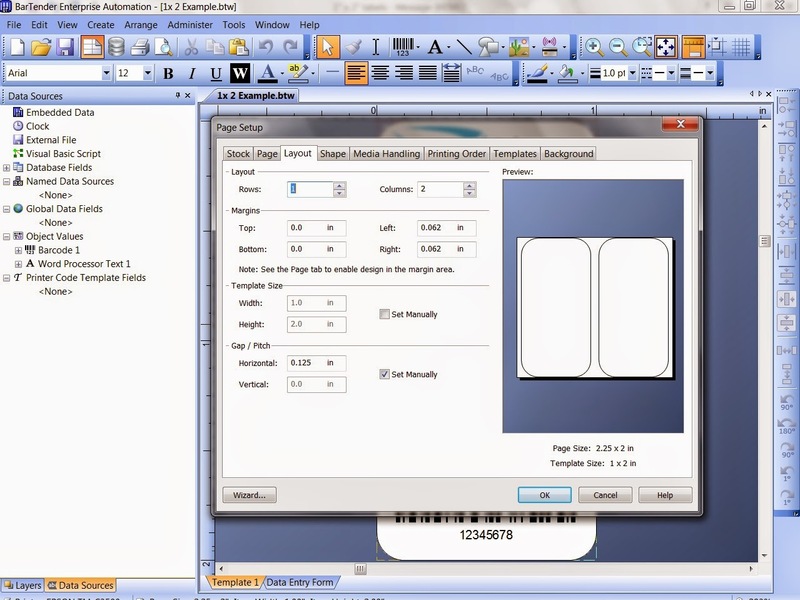 You will not be able to print the same label template correctly from both drivers. If you want to stay with the existing driver, contact me; I’ll send you the previous version. If you are using the GP-C831, you should install the new driver. But don’t be SURPRISED when things change; Just contact us instead. While helping a customer of another reseller, I came upon something I’ve never seen before: Death by Inkjet. 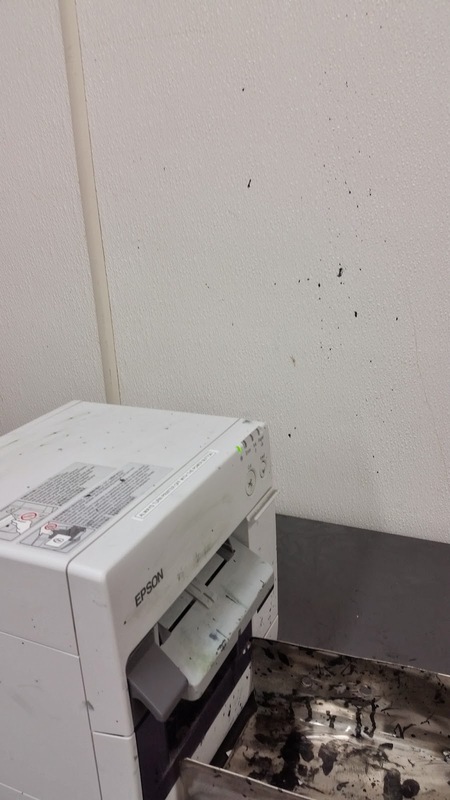 As you can see in this picture, ink is everywhere; on the printer, on the walls and on the label catch basin. After selling and supporting hundreds of customers move to print on-demand color labels, I’ve not see this type of situation. It reminded me of a scene from Dexter; needing a blood spatter expert. I’m not a blood spatter expert, but here are my and the customer’s ideas on what created this scene. 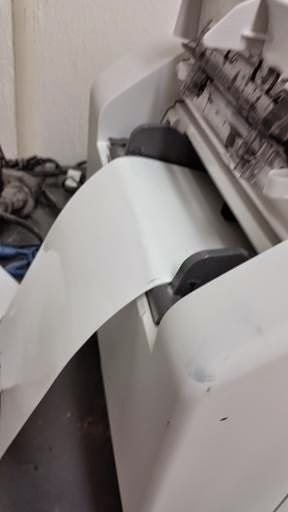 After a couple of days, the customer contacted me again; he said, “I believe I have determined the cause of the bump in our labels that thus, what is causing the label jams. The bump seems to occur at the rear feed where the label bends around the edge. 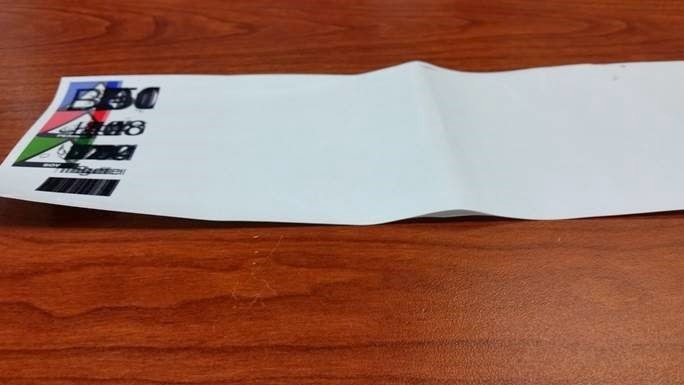 This “bump” happens when the label is left in this position overnight.” So the cause of the problem was NOT the bend around the unwinder roller; rather the bend at the rear feed on the back of the printer. 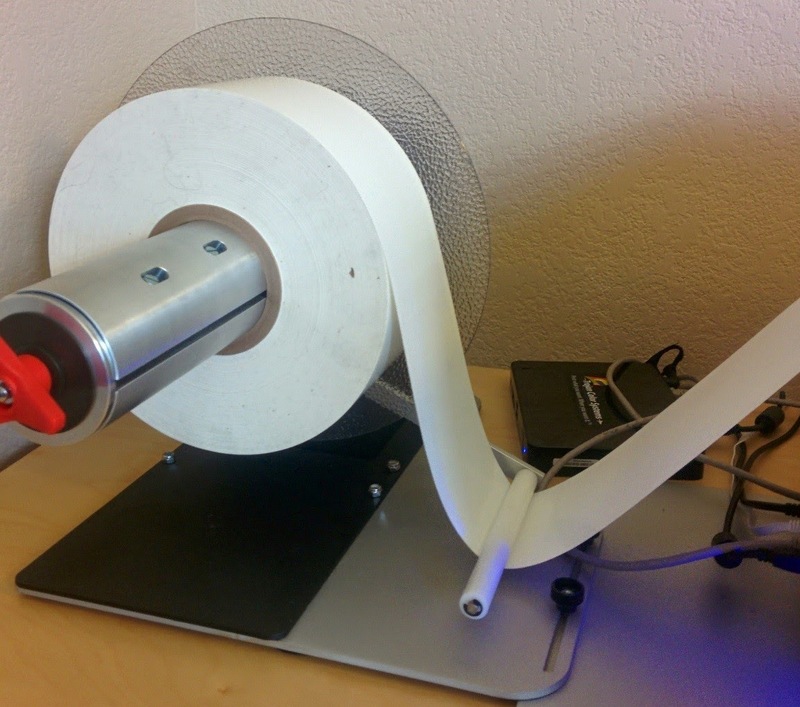 By setting the unwinder in this fashion, you prevent tension on the labels as they feed into the printer. Now, this customer has adjusted the tension on the unwinder. I appreciate his willingness to not only problem solve, but to get me involved and send me pictures. If you have blood spatter, call Dexter. 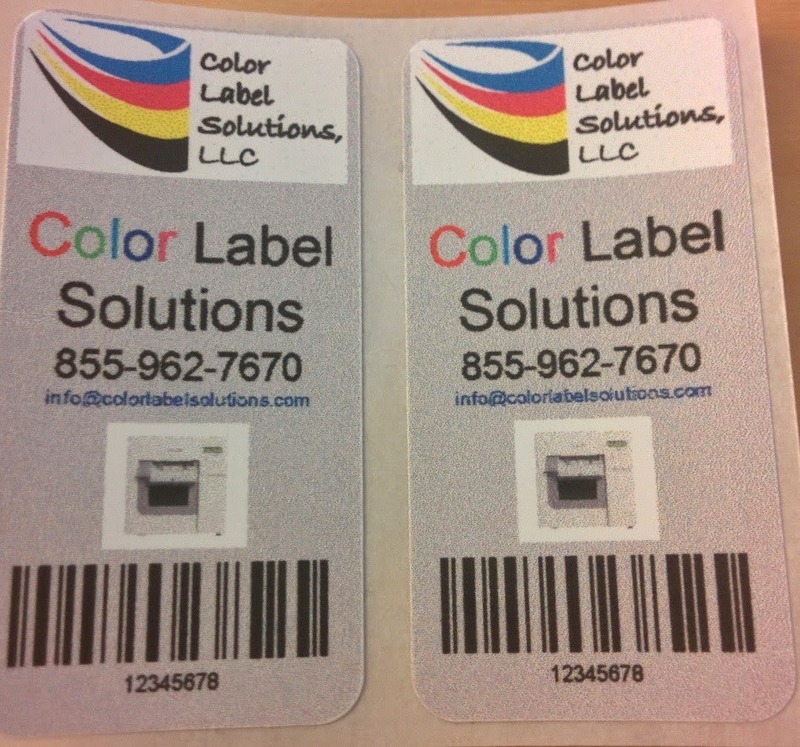 But if you get this or any other issue while printing color labels on demand, contact us. We’ll help you to insure you don’t experience, Death by Inkjet! 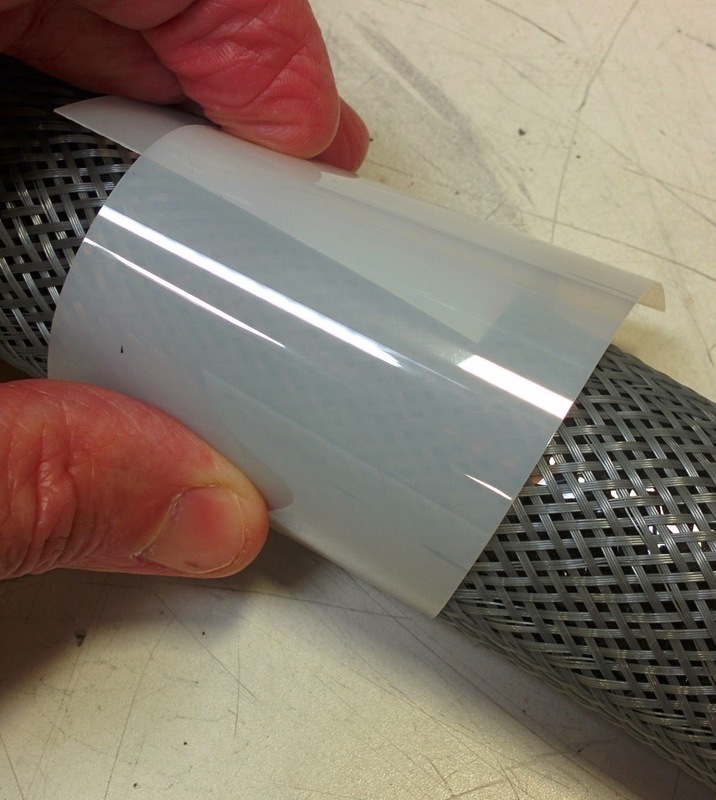 Over the past couple of years, I’ve had many customers ask me about inkjet coated gloss white poly and clear film. However, I’ve not been able to find materials that seemed sufficiently durable; even to withstand water. But let me tell you about 3 new materials and other ways for you to get durable gloss and clear printed labels. Prior to my tests of these new materials, here is a matte poly label that I soaked in water, alcohol, hand sanitizer and acetone. The printed label was durable to all of these materials. 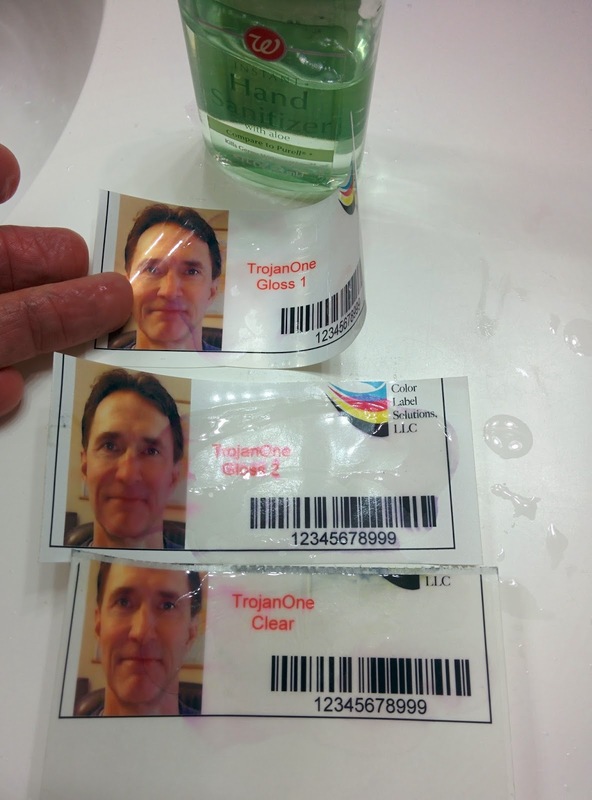 To start, I printed two new gloss and one clear film label with the TM-C3500 and the TrojanOne label printers. I hope you can see how great these materials printed using these two different types of ink. I think these labels look great. Water did not seem to bother any of these materials with the encapsulated pigment inks from Epson. One thing I did notice was the Gloss 2 material had a “rougher” feel after the water; but the ink did not run. In the Gloss 1 sample, I only noticed a difference around the red ink. In the Gloss 2 sample, I saw some of the black ink migrate in the barcode. Please know; I not only soaked these samples, but wiped them with my fingers as well. Overall, I thought the clear film performed pretty well considering the ink is a dye. Next I tested the samples with alcohol and hand sanitizer. The Gloss 1 and clear performed well with the alcohol. But you can see some of the ink ran on the Gloss 2 sample treated with alcohol. Hand sanitizer took the ink off all of these samples. With the Memjet ink, both alcohol and hand sanitizer made the ink run. If your requirements are only water resistance, I do believe we can get you both gloss and clear film that works; especially if you can use the print quality from the TM-C3500. Please know; these materials cost more than matte poly; and may require higher minimum purchases. In some recent quotes, the cost of this gloss label material was approximately $0.004 to$0.0047 per sq inch. If you need either durable gloss or clear film as well as very high print quality, then you’ll need to add a post printing step; either laminate or coat. 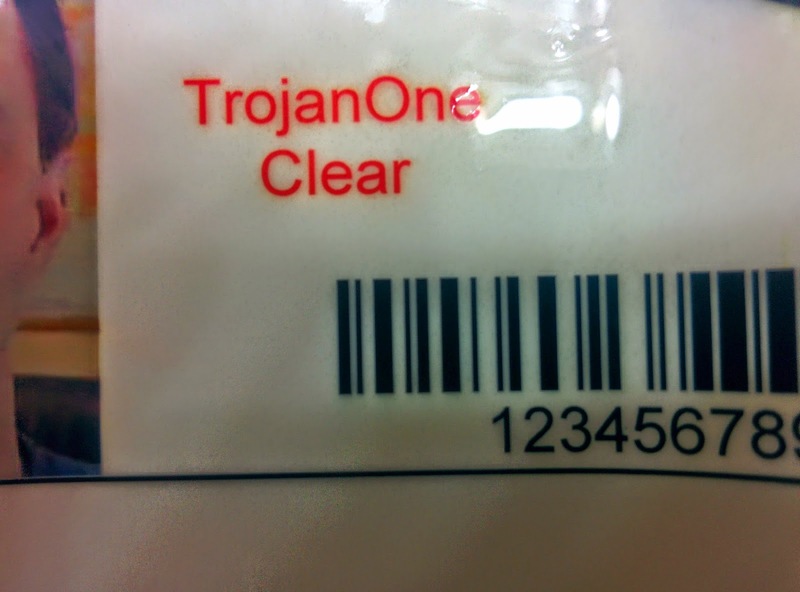 Here is a scanned image of a basic matte label printed with the TrojanOne laminated with a gloss film. These 100% coverage labels look great! 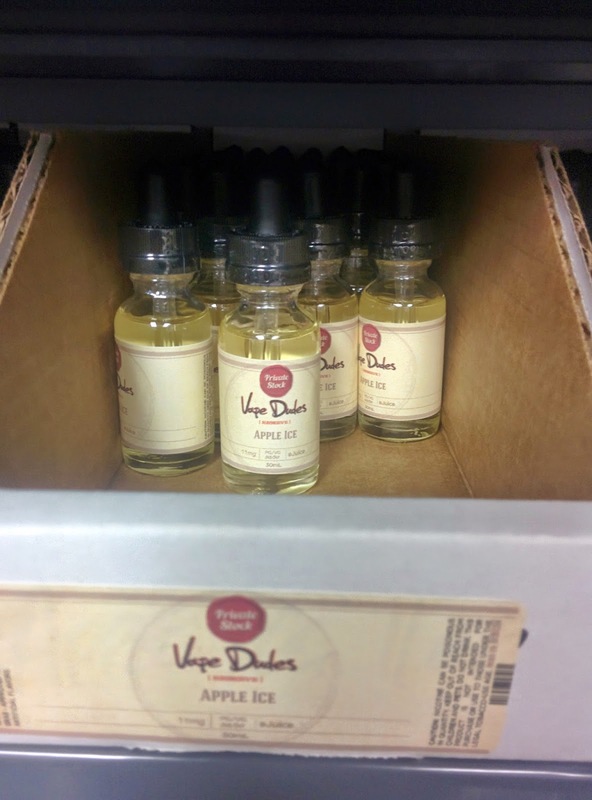 Plus, you can save money on label materials using an inexpensive matte paper direct from the label factory and then laminate and die-cut post print. 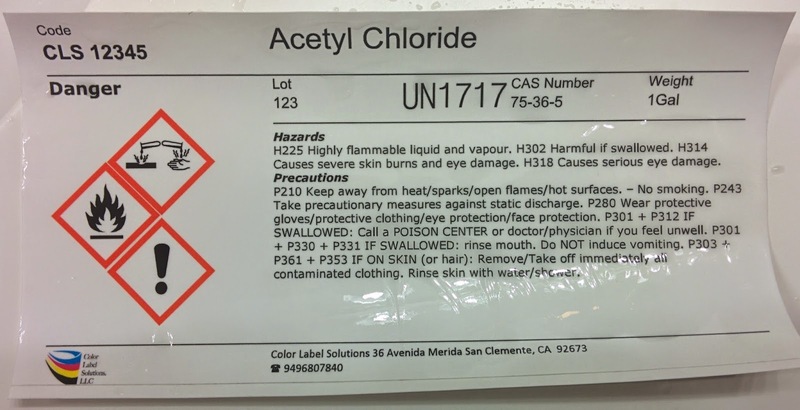 It’s a very affordable way to produce high quality prime labels that are resistant to water and many chemical compounds. 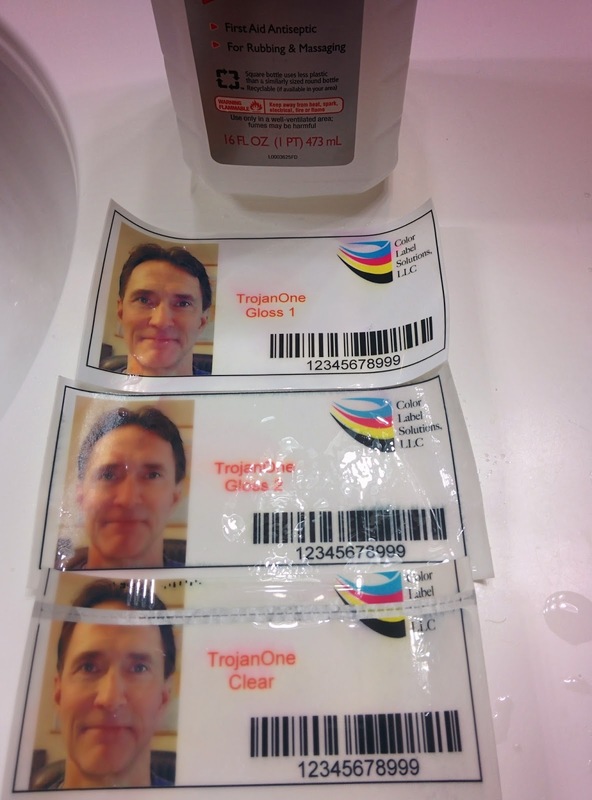 Recently, I complete cost estimates for TrojanOne printed labels with the laminate. 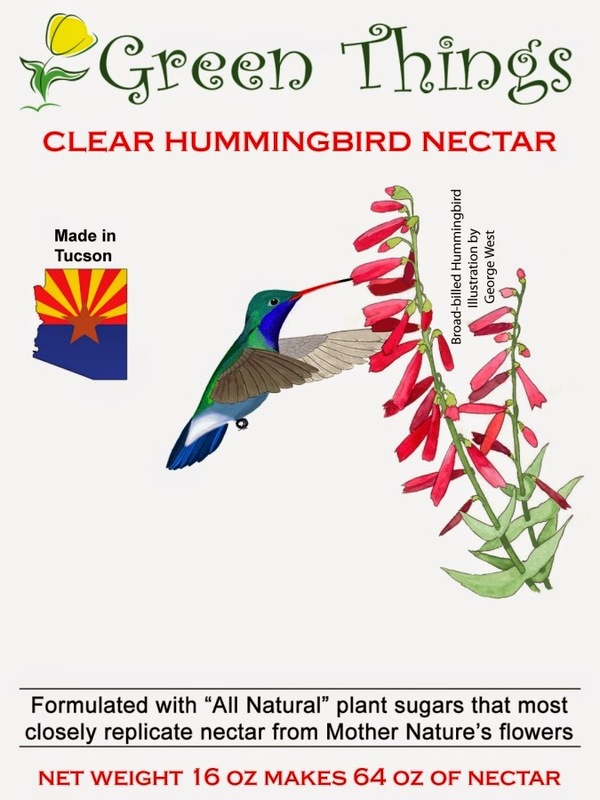 The cost of the label, ink and laminate totaled $0.0014 per sq inch (70% less than the gloss poly label along); making this option the least expensive way to get durable gloss labels. And here is a picture of basic matte paper labels, one on the right coated with a UV varnish. By using different coatings and settings in the coater, you can add more or less gloss as well as durability to the labels. With the new coater, adjusting the coating is easy; as is change over and clean up. Check out my video on the durability tests using hand sanitizer. Using the coating, the cost per sq inch will equal approximately the cost of laminating; $0.0014 per sq inch. 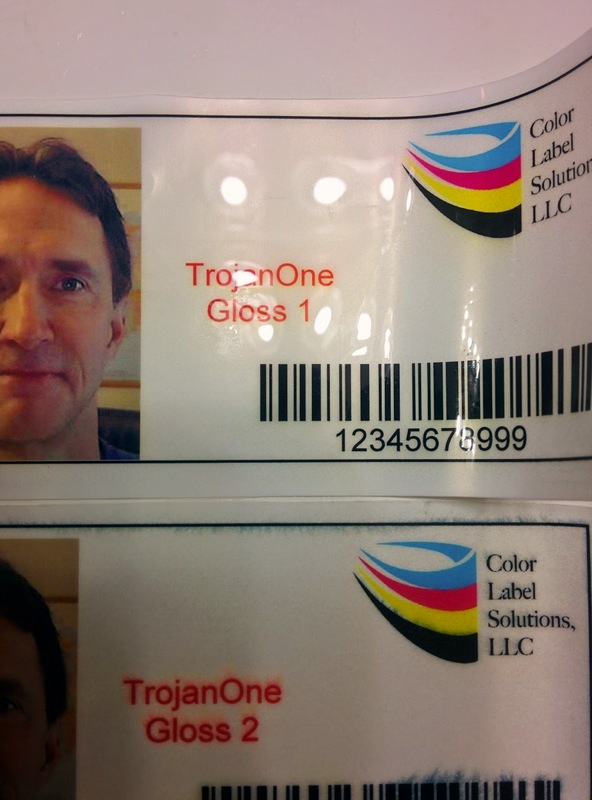 If you need gloss or clear labels, we can help you at Color Label Solutions. Contact us to discuss your requirements and the option that fits your label printing situation the best. 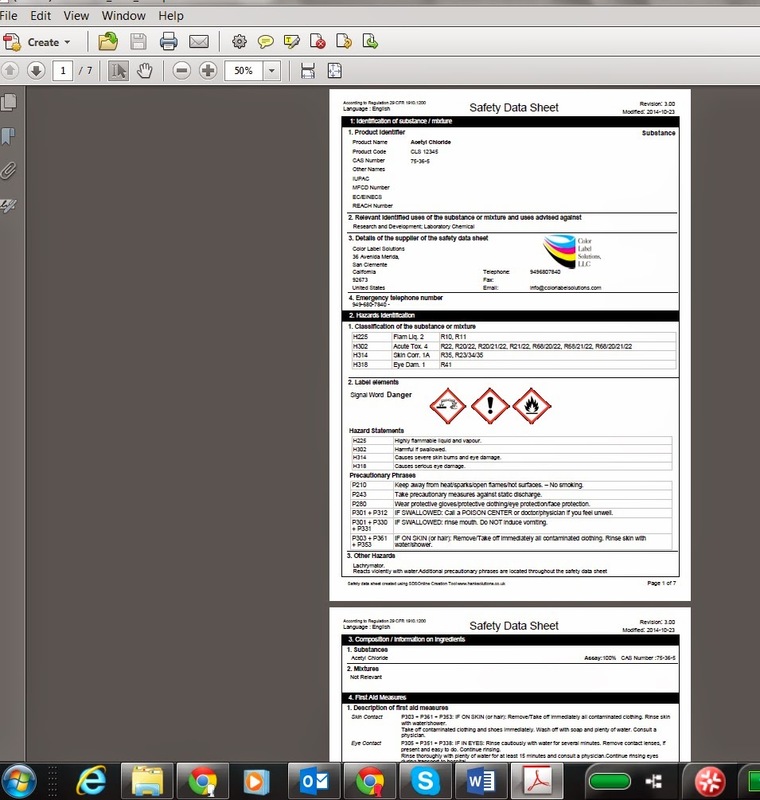 By June 2015, all chemical companies must be providing the new 16 section Safety Data Sheet (SDS) documents. The project to convert these important documents by June of next year could be extremely difficult; especially for distributors or repackagers of chemicals. These companies distribute thousands of different compounds from many different vendors. 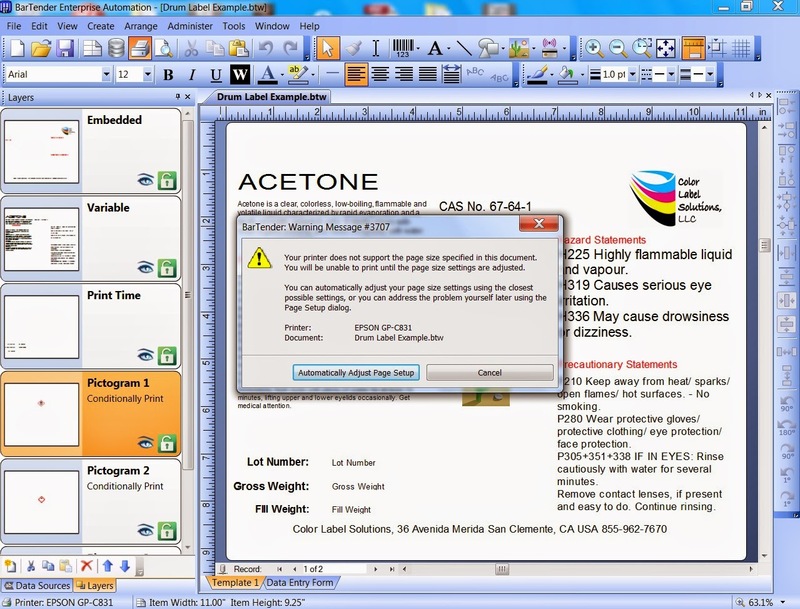 Producing SDS documents using your brand and company names for all these products will take time and work. But could this process be made easier? 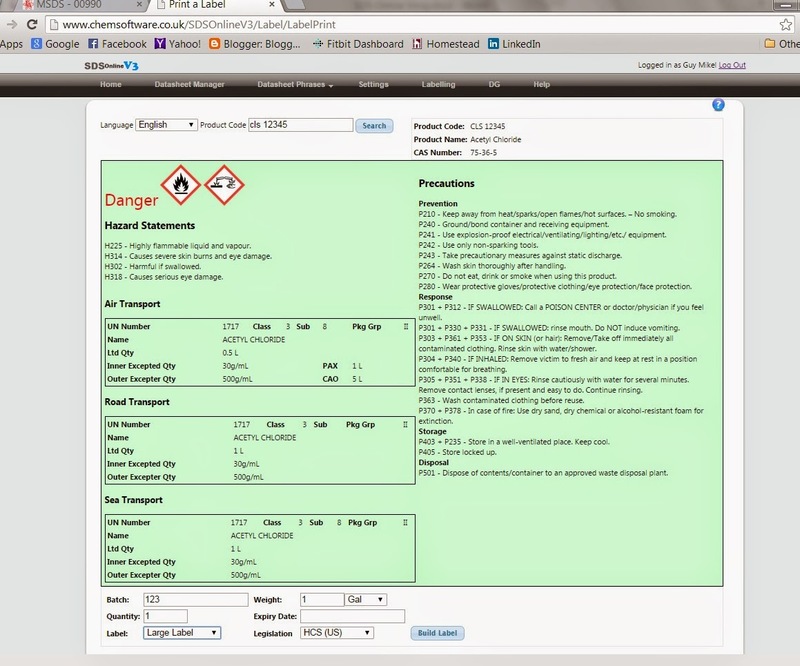 To start the process, I logged into the SDS Online software at the following: http://chemsoftware.co.uk/SDSonline and set up my company profile located in “Settings”. Next I go to the “Datasheet Manager” to search to see if the product is already available in the database. 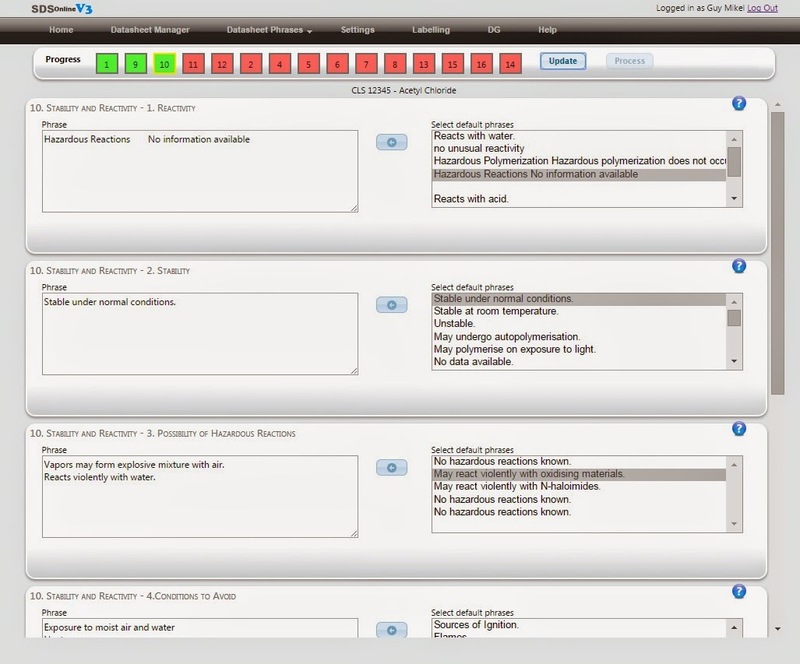 SDS Online makes SDS information available to everyone as a part of the Software as a Service. To see if information was available, I searched Acetyl Chloride both the product name and CAS number. This product is not in the database. In this picture, you can see section 1 is completed and "green"; with the other 15 sections needing to be completed. After section 1, you complete section 9; chemical physical properties by copying and pasting the information. In addition, you can add standard phrases by highlighting on the right side of the document and selecting “Add”. Once a section is completed, selecting “update” will turn section 9 stoplight “Green”. 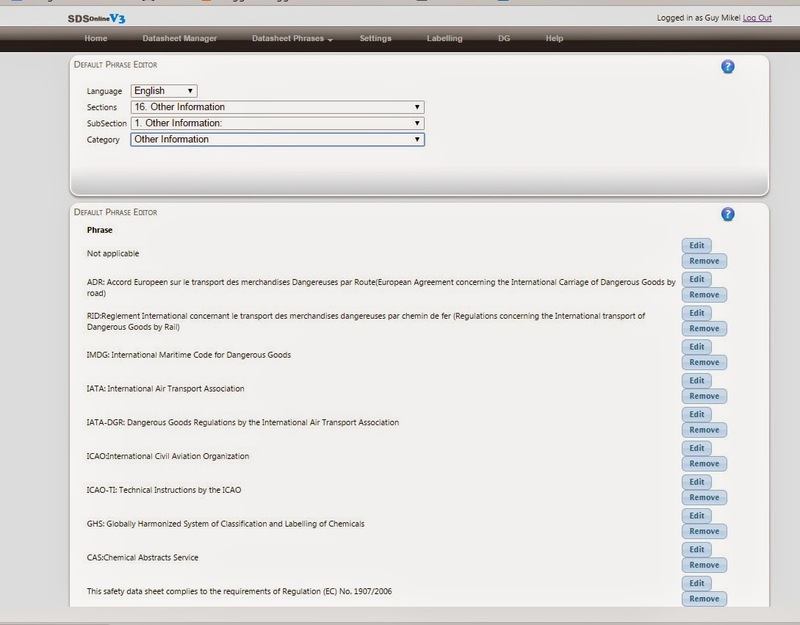 In section 10, you add standard phrases or type/paste in phrases listed in the SDS; and then update. You continue to complete each of the sections using this same approach. To complete each category, you can select from the available default phrases, add your own phrase, or paste the suggested phrase from either SDS Online or from the original SDS. Assuming I was using a supplier’s SDS with their approval, I found copying and pasting the information the easiest. Depending on your perspective, I found one good and bad aspect of SDS Online. Each section must be completed in order to proceed. This requirement is great for most sections. In some sections, however, the SDS I was using as my template did not have any information. Therefore, I had to add something to save the data in a section. I’ve learned however, the actual REACH Law legislates that each section of the SDS must be completed. If no information is available, you can set a default phrase for "no information available" and just add this comment. Once all the sections are completed, you process the document; and download a copy of the 16 section SDS: 7 pages in this test case. 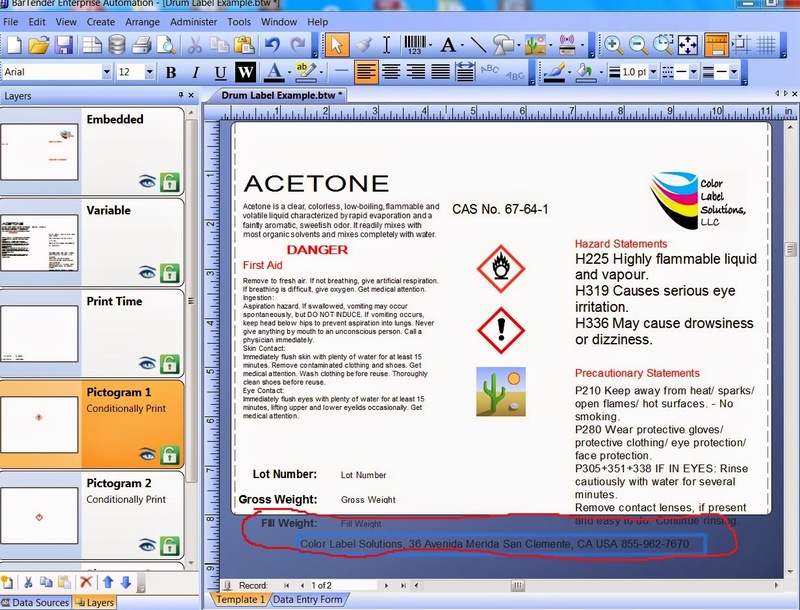 Once you have a SDS, you can build a GHS Label by selecting “Labeling”. In this section, you search for the product you want the label. 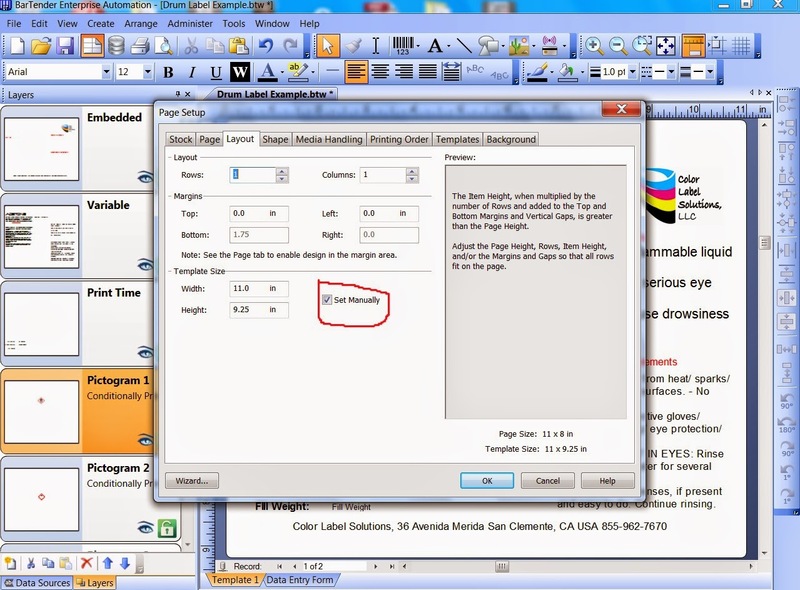 Once found, you can add the variable information for the label at the bottom prior to printing. 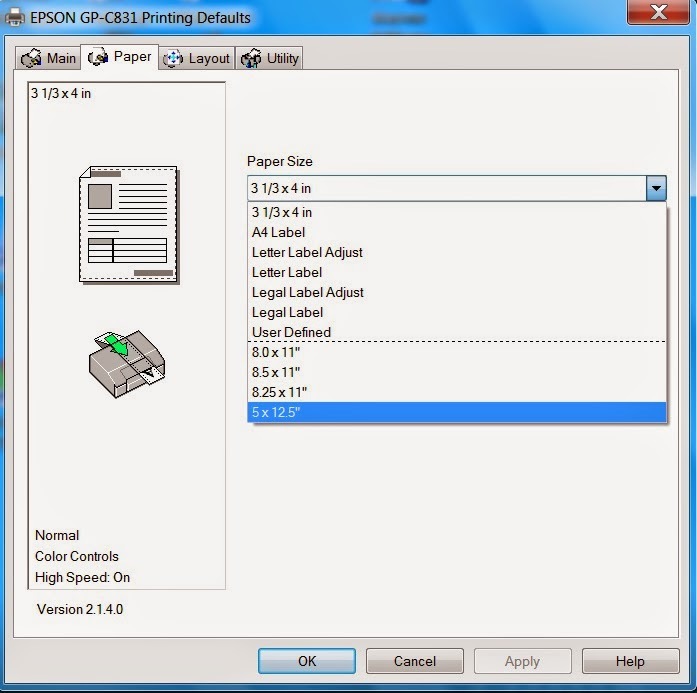 By selecting “Build Label”, you get a PDF of your label to print. 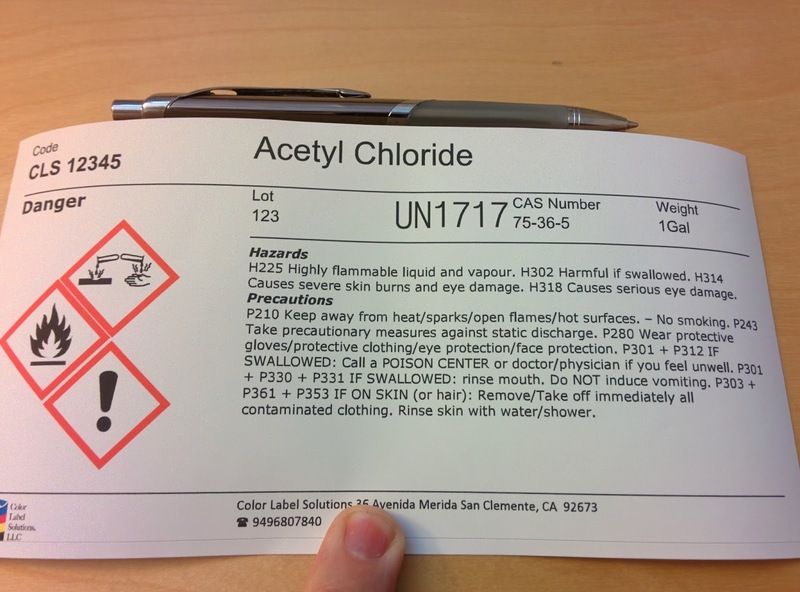 Using my TM-C3500, I printed this GHS Label for my example product. Three Key Points I need to add. First, you should start using SDS Online by editing or adding you default phrases for each section. 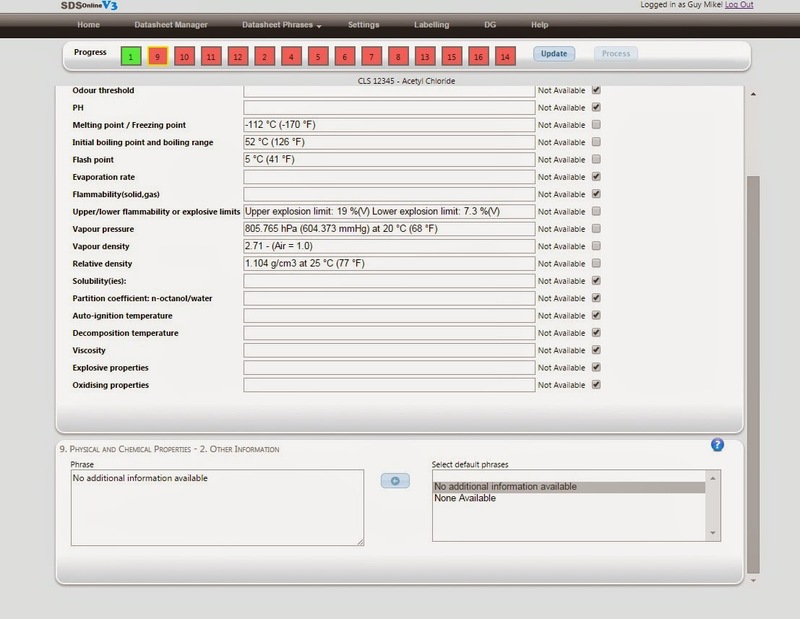 By selecting “Datasheet Phrases” and reviewing each section, you can set up or edit your standard phrases. 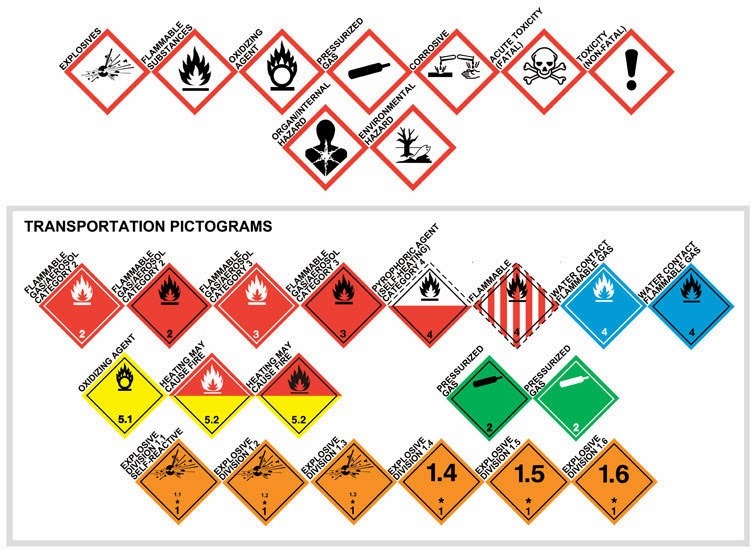 Second, if you're a distributor or reseller of many products with similar hazards, you can create one product/SDS and select “Use As Template”. This step enables you to create further SDS’s by completing section 1 and then applying the template to build the rest of the SDS. Total time can actually be under one minute. Third, if you require professional advice on how to classify your products, then SDS may not be for you. SDS does not provide recommendations or advice to help you build your SDS. 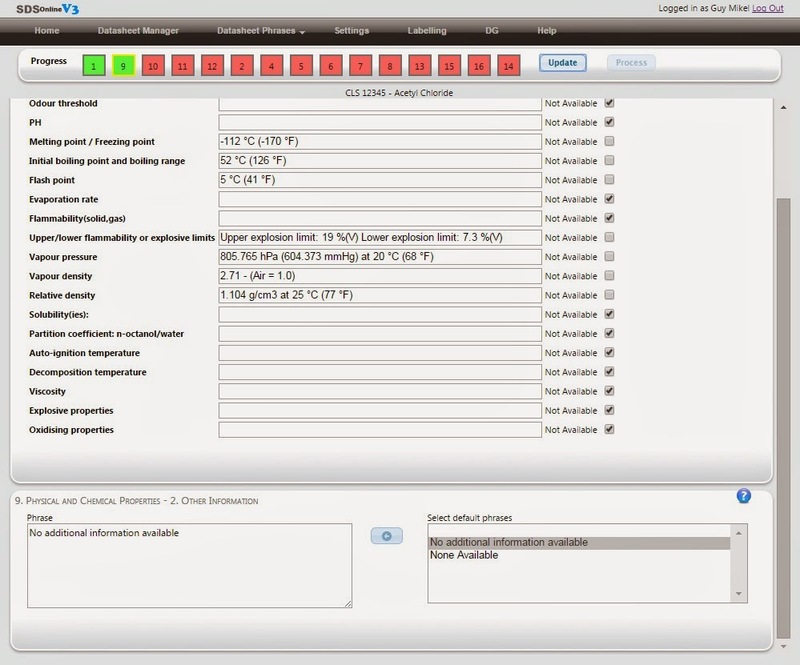 SDS Online seems to be a good way to adapt your vendor’s SDS’s to create your own GHS documents. Plus, this cloud-based application is affordable. If you like to learn more or demo the cloud application, contact us. 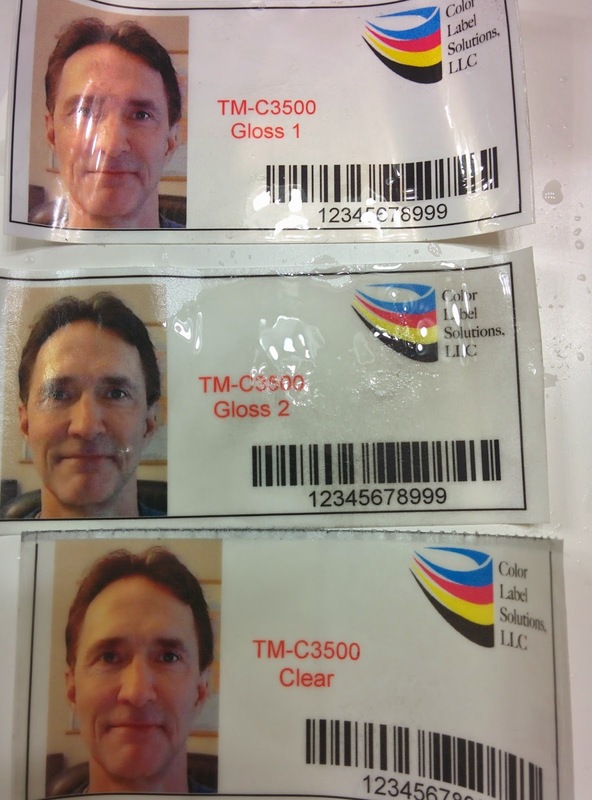 Printing narrow color labels can be tricky. 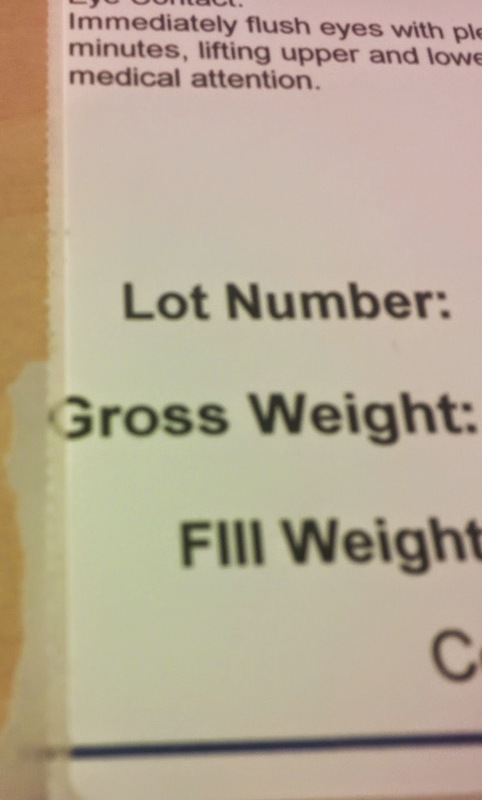 So how do you print a 1” wide label when the minimum print width is 2X or greater? The easiest way is “Multiple Up”. “Up” refers to printing multiple impressions of the same image at the same time. “Multiple Up” is used typically to reduce the amount of time needed for a given print job; or to print smaller than spec labels. 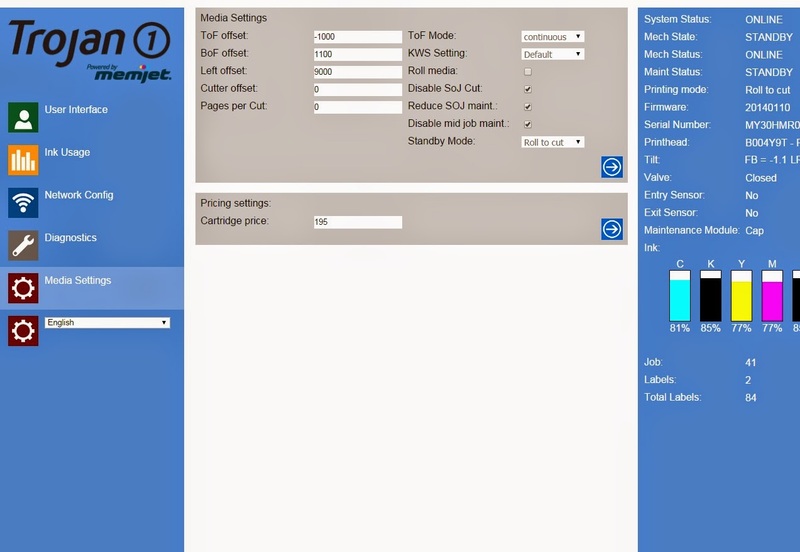 Just setup in the printer driver the total page size of all the labels; and then create the page setup with the template size and number of rows/columns. It’s easy to do. You can even add a background image or color. With small labels, I would typically recommend using blackmarks to set the precise print start/stop point. 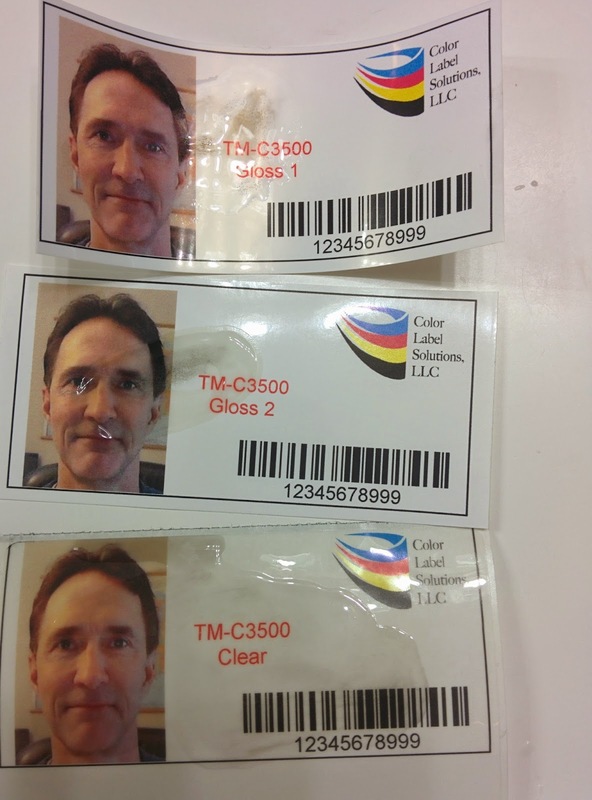 Experimenting, I printed these 1” x 2” black mark labels on the new TM-C7500. Works great! 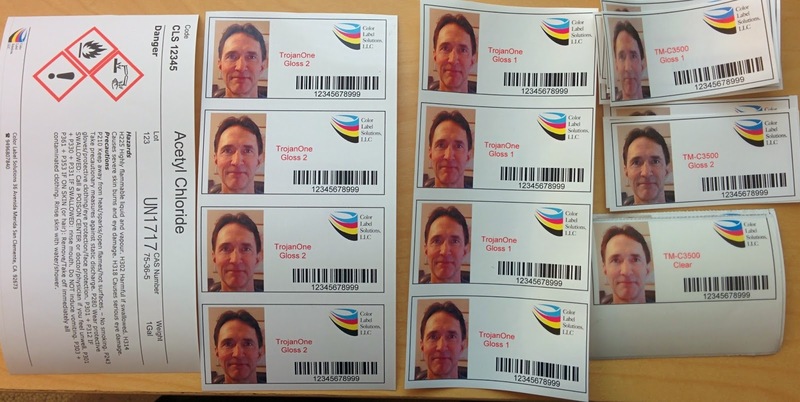 Printing color labels on-demand smaller than the specification of the printer can be accomplished; with a little preparation and support like you get from Color Labels Solutions. 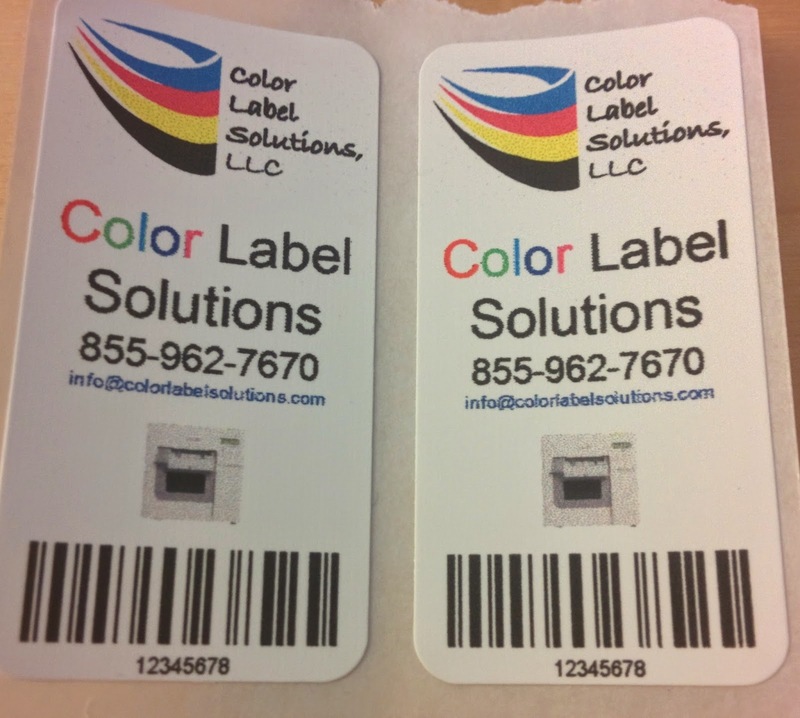 Contact us if you have any questions about printing small or any other color labels.